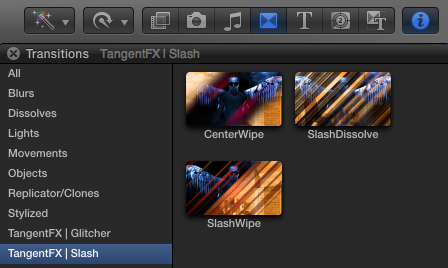 Slash uses several colorful and dynamic motion design motifs within three different drag and drop transitions in Final Cut Pro X. 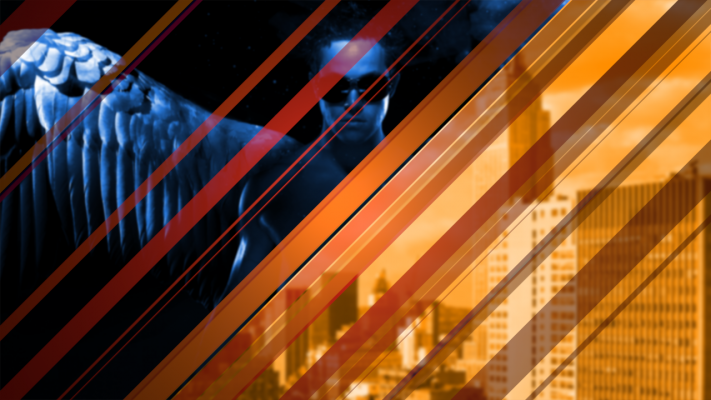 In the Transitions Browser, you’ll find the three different transition types. Each of these is infinitely variable using the controls provided.